Hello Autumn. 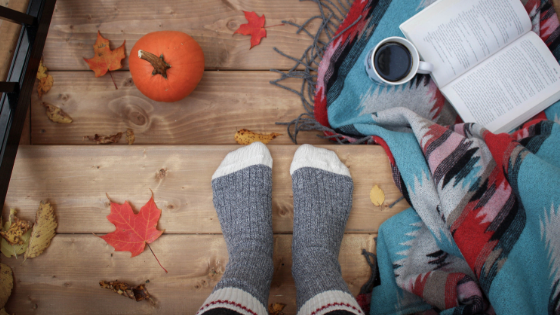 Falling leaves, hearty soups, a new scarf or two and…….flaky, dry skin. Your skin can really dry out quite quickly in the cooler months. When the temperature drops outside, we crank up the heating inside and this combination can wreak havoc on skin. Fortunately, there are plenty of natural remedies to help your skin transition to the cooler months. In this post I will take you through some topical and internal remedies, including a few simple, seasonal kitchen ingredients, to support your skin. Skin becomes dry and rough as the weather becomes cooler. 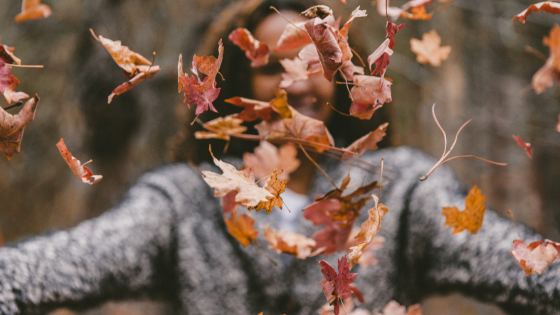 If you already have dry or mature skin, you’ll likely find Autumn can really wreak havoc with flaking and persistent dryness. Or worse, cracked and bleeding skin. These sort of skin issues aren’t just annoying, they can impact our confidence and comfort levels too. The aftermath of summer also leaves skin looking a little dull and possibly damaged if too much fun (sans sunscreen) has been had in the sun! Your Autumn skin goal is keeping skin as hydrated as possible to nurture dull skin back to life while providing protection against the elements. We can do this by putting the right natural ingredients in and on our bodies. Nothing says autumn quite like pumpkin and there’s a lot this humble veg can bring to your skincare! To start, it’s high in beta-carotene which is what gives pumpkin it’s orange pigment. Our bodies convert beta-carotene into Vitamin C, which fights inflammation and Vitamin A which strengthens the skin barrier and promotes hydration. Pumpkin’s enzymes and alpha hydroxy acids (AHAs) increase cell turnover and brighten dull looking skin. Beta-carotene also helps protect the skin against UV damage. Even during cloudy autumn days, you still need to be aware of UV rays. It might sound a little strange but pureed pumpkin actually makes a great face mask. It delivers hydration and reveals a fresher complexion and helps relieve dry autumn skin. Combine ½ cup cold pureed pumpkin with 1 tsp of olive oil and a 1 tsp of honey. 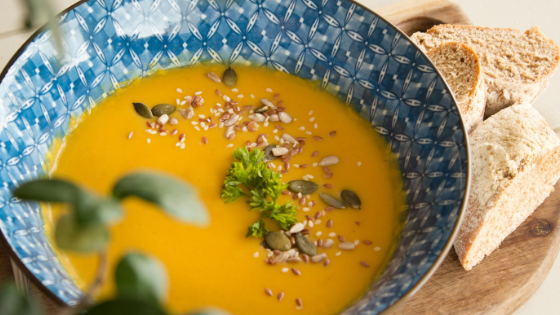 A bowl of hot, homemade pumpkin soup isn’t just great comfort food on a blustery autumn day, it’s beneficial for your skin too. Try this Pumpkin Soup from The Skin Kitchen or Donna Hay’s No Peel Roasted Pumpkin Soup. Don’t forget the pumpkin seeds! They’re packed full of fatty acids such as Omega-3, which plays an important role in both the structure and appearance of the skin. Nibble on them for a snack. Jojoba is a wonderful natural ingredient for treating dry skin and conditions like psoriasis, chapped skin and sunburn. Pronounced ho-ho-ba, a fun little fact about jojoba oil is it isn’t oil at all. It’s actually a liquid plant wax! Jojoba oil is available year round but it’s a fantastic natural option to treat dry autumn skin and hair that’s become stressed out during the seasonal switch. Jojoba is an emollient, which means moisturises skin, soothing and softening irritations, or scaly and rough patches. It works by forming a layer on the top of the skin that acts as a barrier to trap moisture into the skin. Apply a few drops of the oil onto clean dry skin and massage in. Face, neck, elbows, feet; wherever! It makes a great hair treatment too; again, just rub a few drops into the split, dry ends. When we think about cucumber, we tend to think of all those fresh, summer salads but this veggie is in season in the autumn months too. Cucumbers are super hydrating, packed with antioxidants and are anti-inflammatory. They are also loaded with nutrients that are beneficial for the skin like vitamins A, B1, C, biotin, and potassium. Here’s how to take advantage of this seasonal veggie for your Autumn skin health. Applied topically, cucumber soothes, hydrates, and heals dry skin. The addition of aloe vera in this mask really ups the moisture hit. Cut ½ of an unpeeled cucumber into slices. Rinse off with lukewarm water, dry face and follow up with your usual moisturiser. As the weather gets cooler, we’re less likely to reach for a big glass of cold water as we would on those hot summer days. It’s too easy to let our fluid intake slip in the cooler months but it’s so important we keep ourselves hydrated. 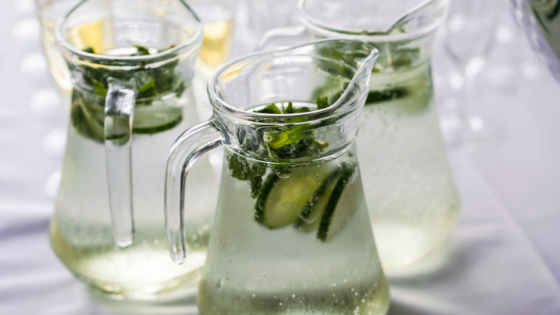 It’s a great idea to boost your liquid intake with herbal teas during Autumn, but why not keep a jug of cucumber water on hand too? It’s a little tastier than plain old water which isn’t so enticing in the colder months. By adding cucumbers to water, you boost calcium, magnesium, potassium, phosphorus, vitamin A and vitamin K intake. Cucumber contains the trace mineral silica which promotes skin elasticity and collagen health. Take 2 thinly sliced cucumbers and combine in a jug with 8 cups of water and ½ a teaspoon of Himalayan salt. Enjoy a glass of skin hydrating cucumber water! Most of us can find some oatmeal lurking around in the pantry. Oatmeal is an inexpensive dry skin fix that has been used for centuries to soothe dry, chafed skin and deliver hydration. It’s not just your face that is exposed to the changes the cool weather and overheated rooms bring. Wearing longer, heavier clothes can leave arms and legs feeling rough and scaly. An oatmeal bath soak is an easy, DIY solution that feels quite luxurious too! If you do struggle with dry skin in general, I recommend downloading your free copy of my Dry Skin Guide on how to overcome this challenging skin condition naturally. I hope this post helps you combat dry autumn skin naturally so you can be free to enjoy the cosy indoors and cooler outdoors!